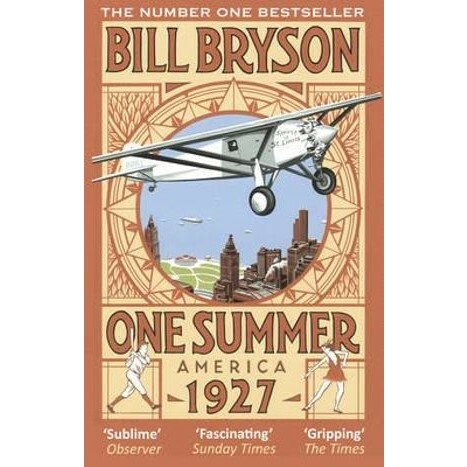 Let Bill Bryson take you back to a forgotten summer when America came of age and changed the world for ever: and show you why he is our favourite writer of narrative non-fiction. Britain's favourite writer of narrative non-fiction Bill Bryson travels back in time to a forgotten summer when America came of age, took centre stage, and, in five eventful months, changed the world for ever. It was the summer that saw the birth of talking pictures, the invention of television, the peak of Al Capone's reign of terror, the horrifying bombing of a school in Michigan by a madman, the ill-conceived decision that led to the Great Depression, the thrillingly improbable return to greatness of a wheezing, over-the-hill baseball player named Babe Ruth, and an almost impossible amount more. In this hugely entertaining book, Bill Bryson spins a story of brawling adventure, reckless optimism and delirious energy, with a cast of unforgettable and eccentric characters, with trademark brio, wit and authority. Bill Bryson's bestselling travel books include The Lost Continent, A Walk in the Woods and Notes from a Small Island, which in a national poll was voted the book that best represents Britain. His acclaimed book on the history of science, A Short History of Nearly Everything, won the Royal Society's Aventis Prize as well as the Descartes Prize, the European Union's highest literary award. He has written books on language, on Shakespeare, and on his own childhood in the hilarious memoir The Life and Times of the Thunderbolt Kid. His last critically lauded bestseller was At Home: a Short History of Private Life. He was born in the American Mid-West, and lives in the UK.